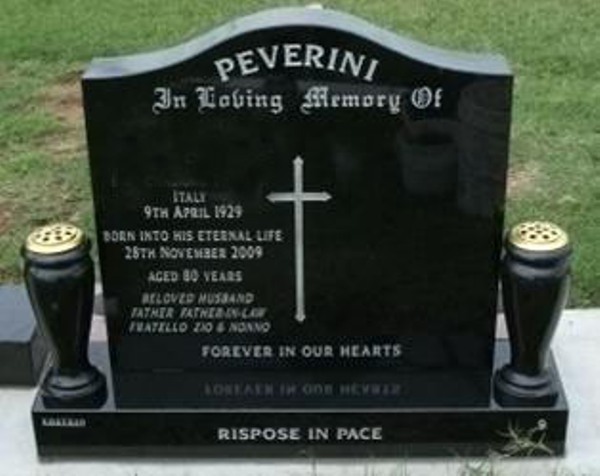 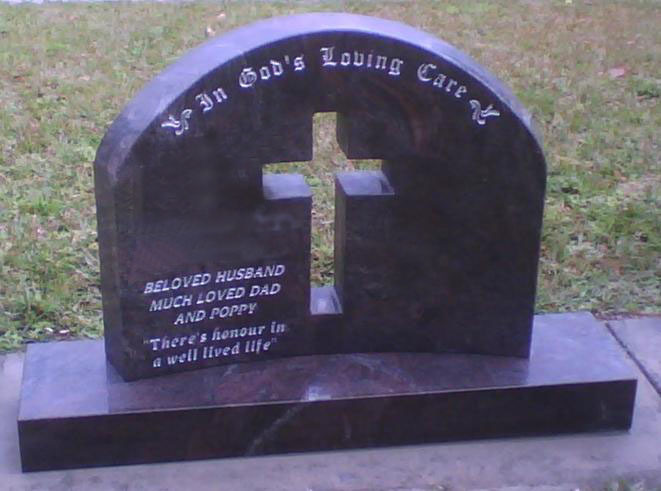 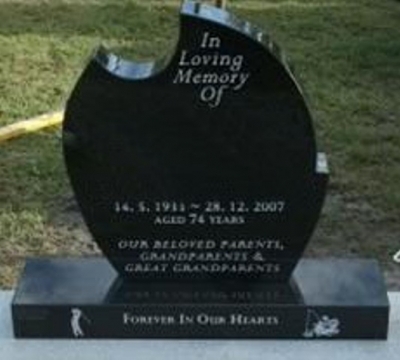 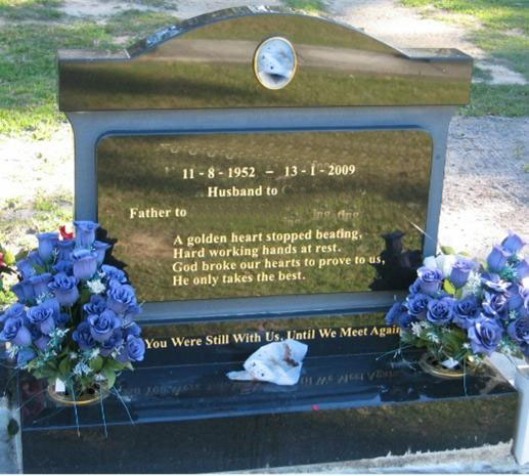 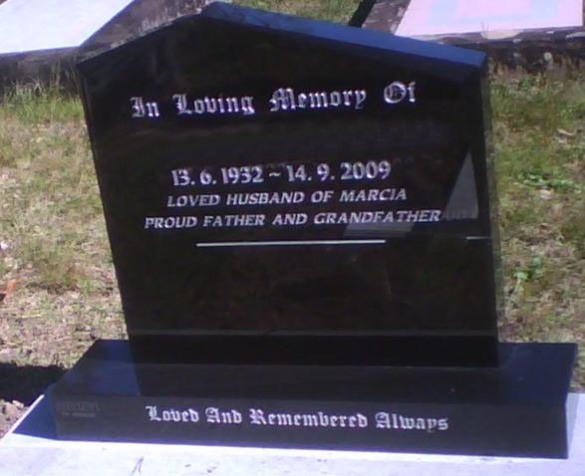 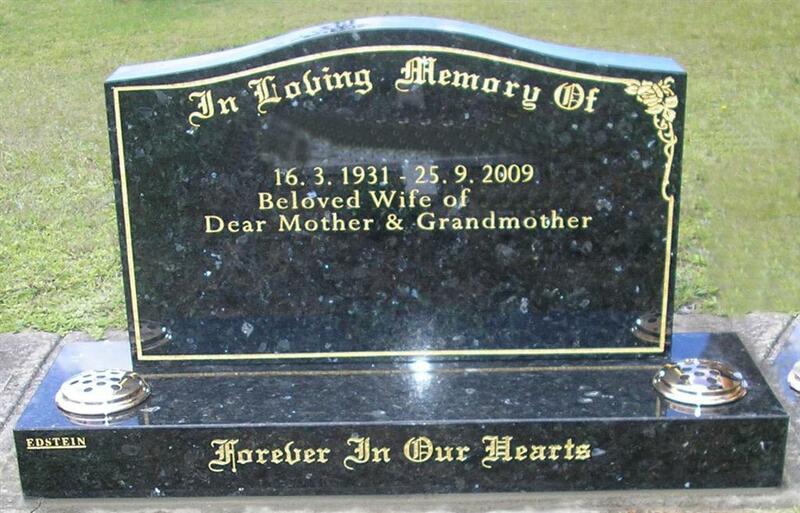 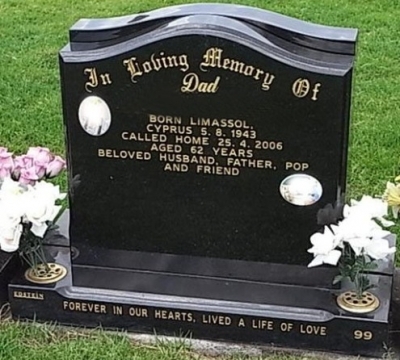 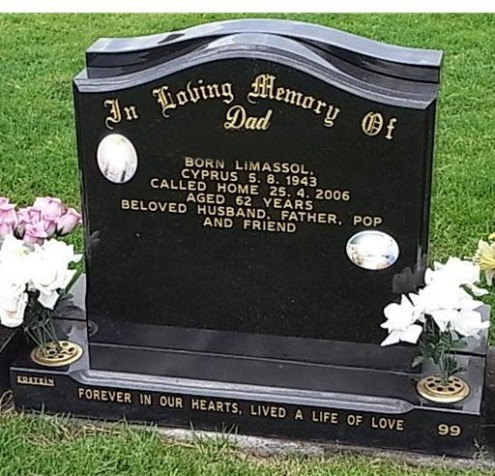 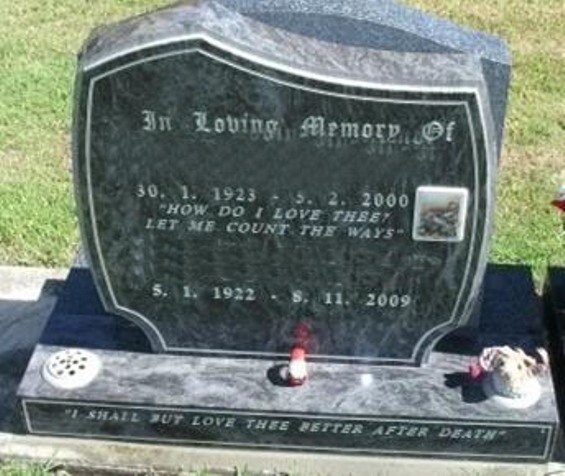 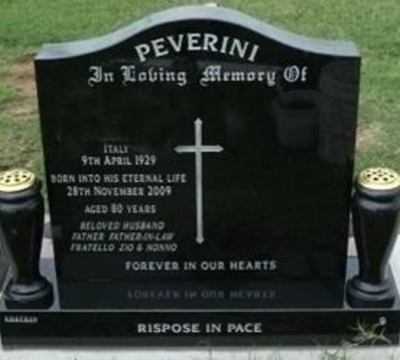 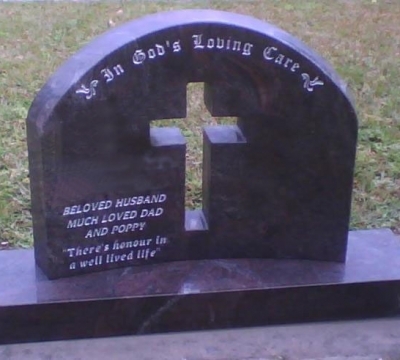 The headstone and base style monuments are generally designed for lawn cemeteries, however many people are opting for headstone and base monuments in traditional cemeteries instead of a full monument. 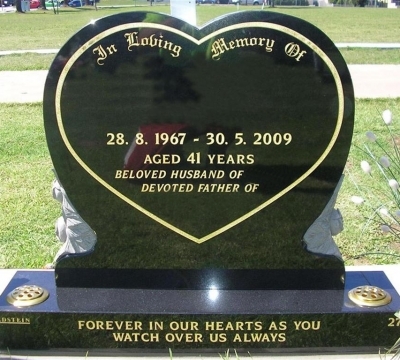 Many of our lawn monuments were originally developed to meet the size specifications of 700mm wide by 650mm high for the Sandgate Lawn Cemetery. 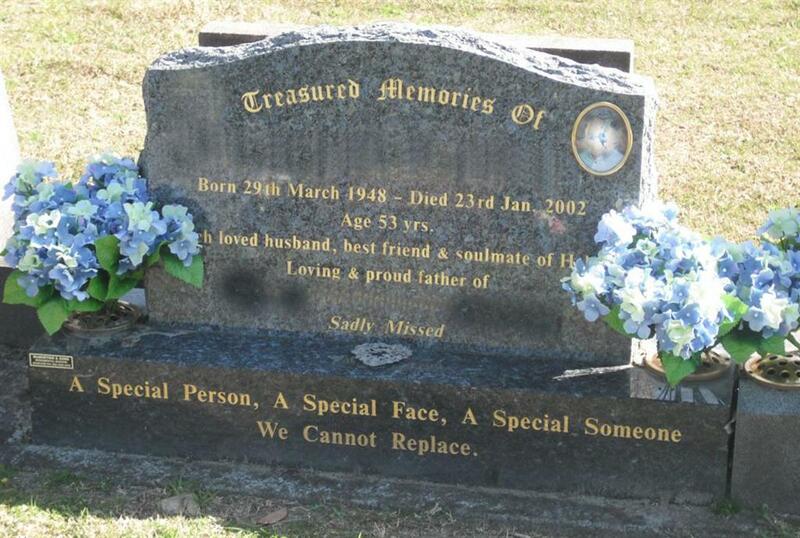 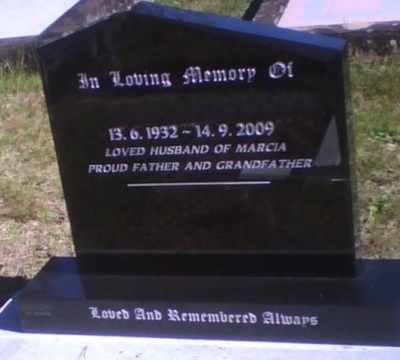 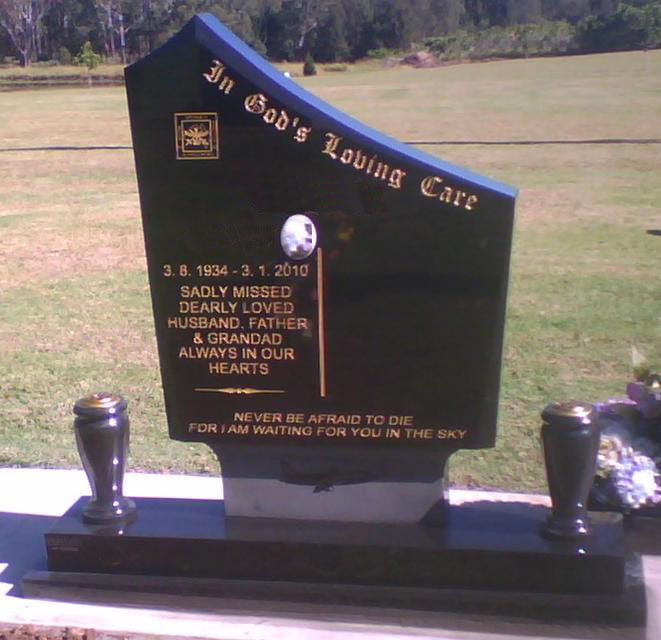 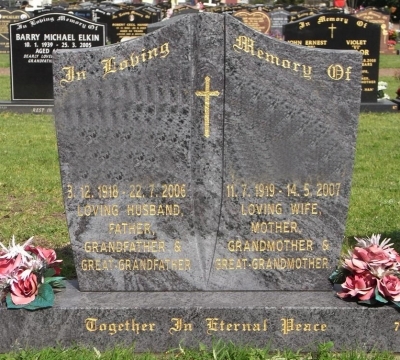 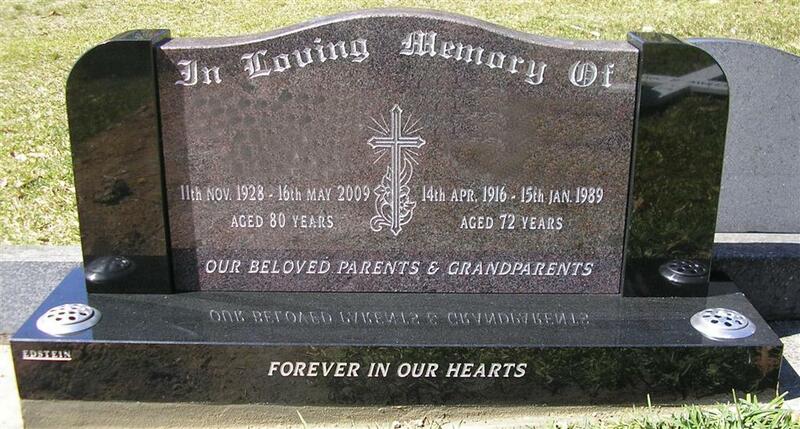 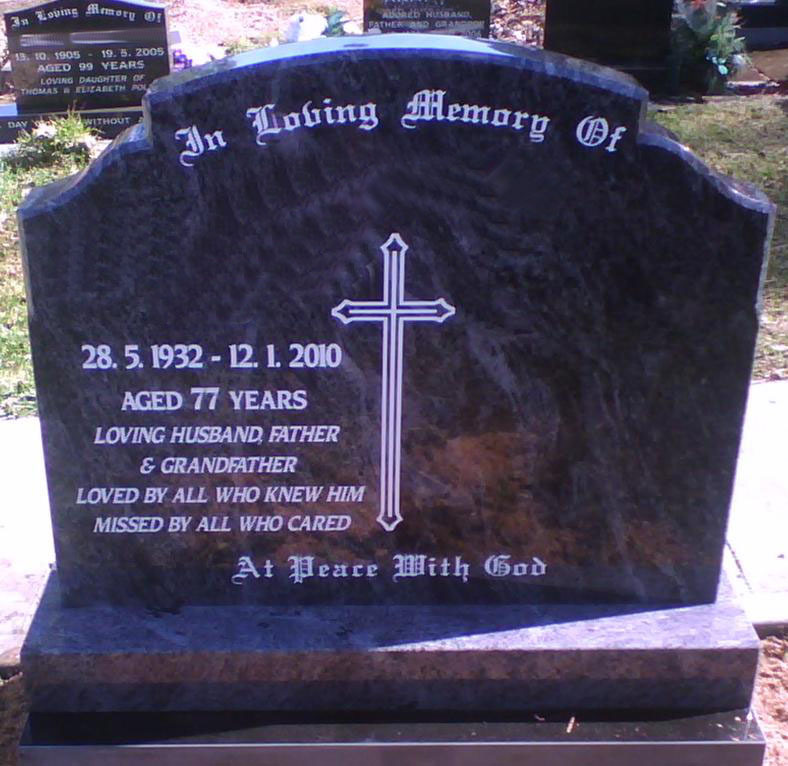 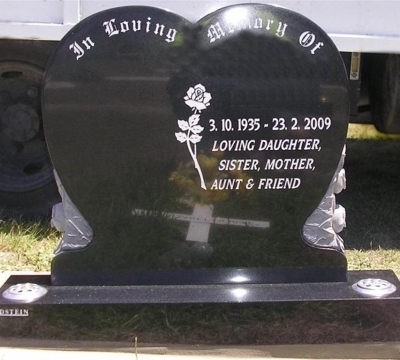 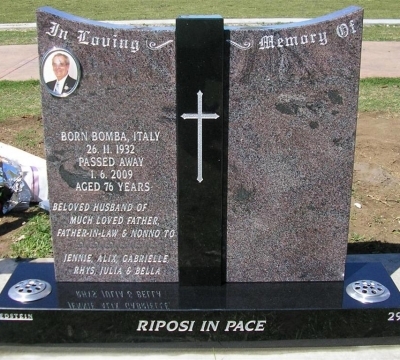 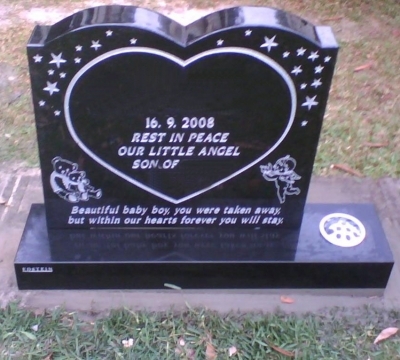 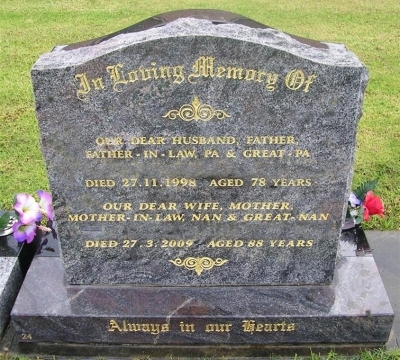 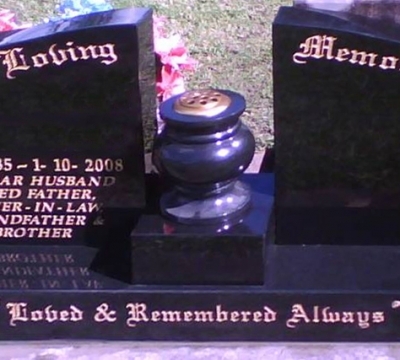 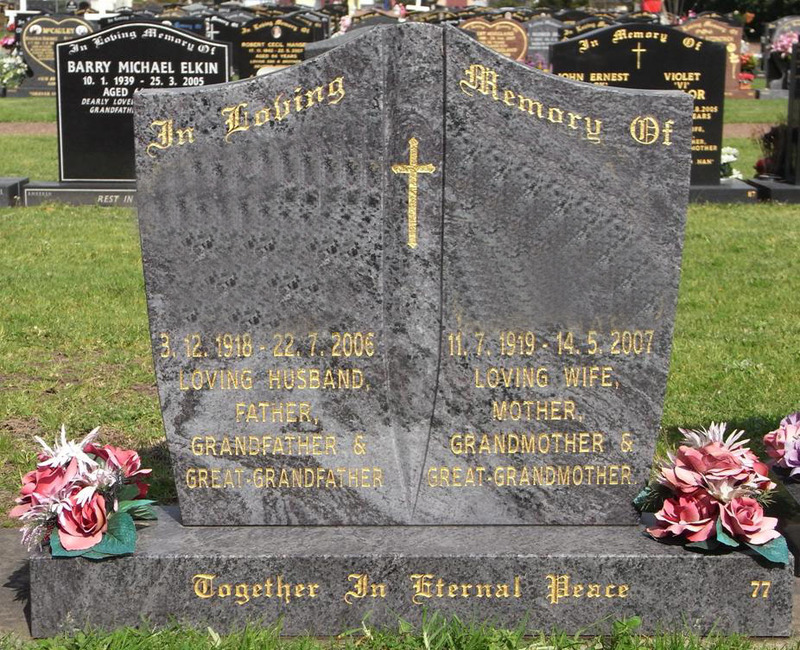 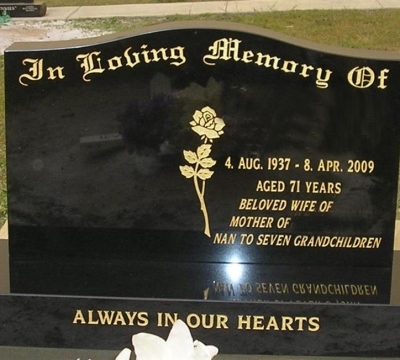 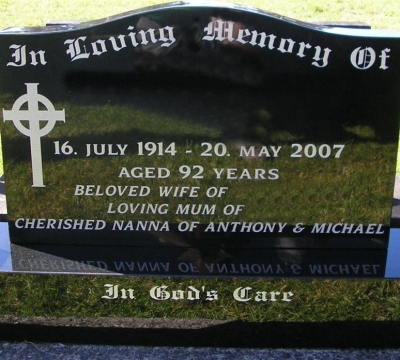 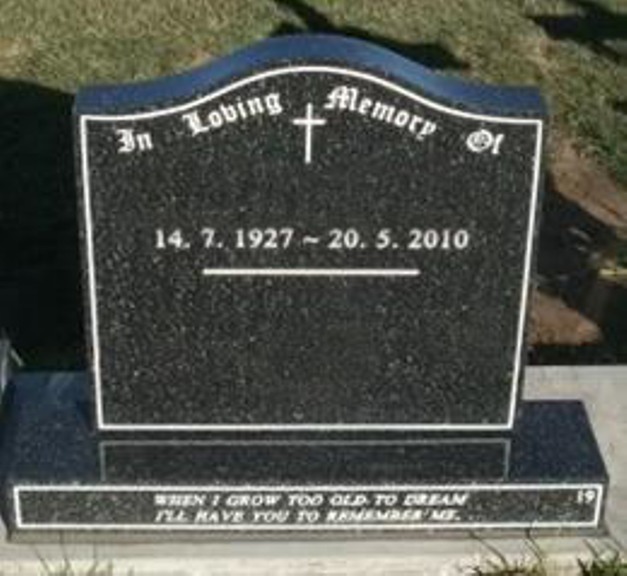 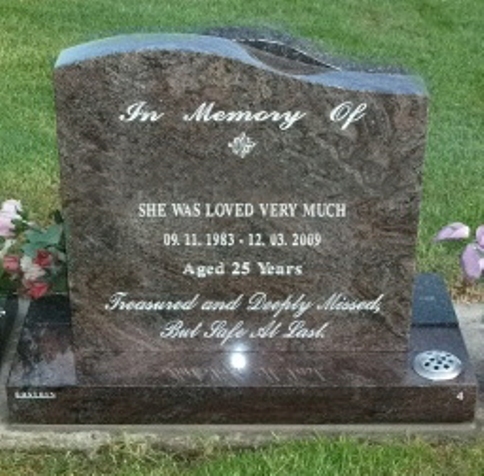 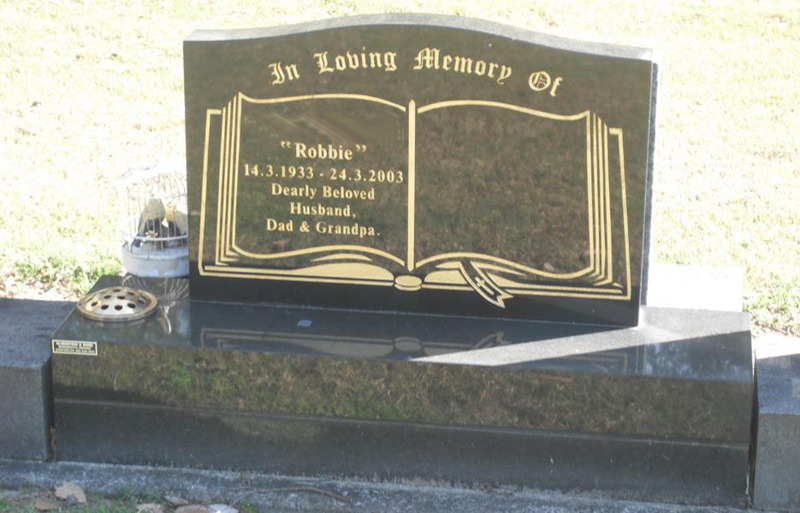 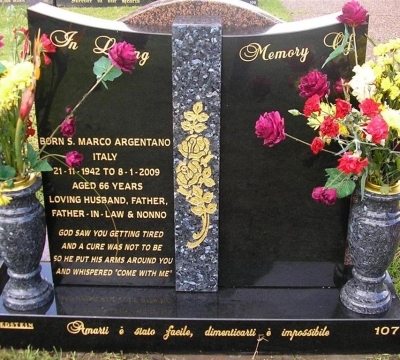 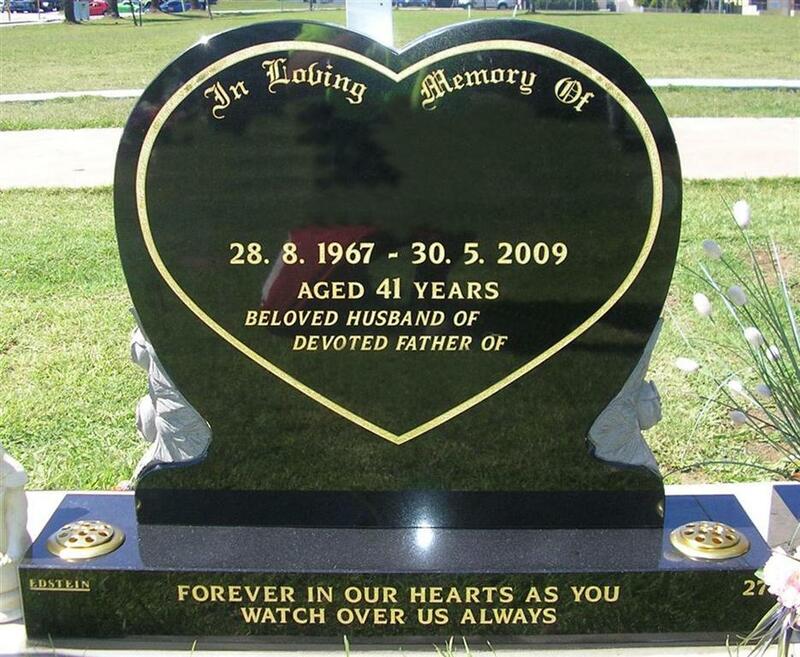 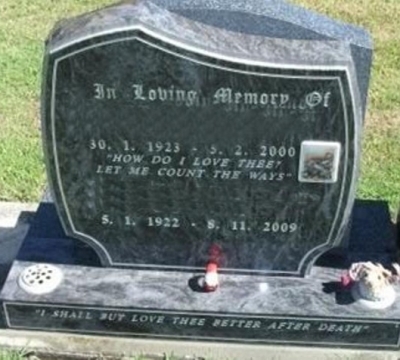 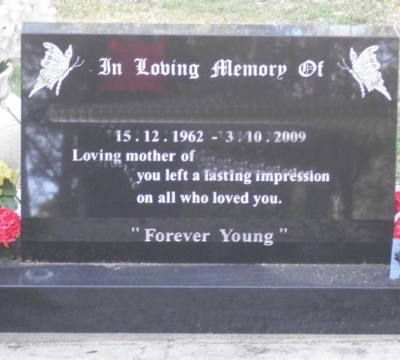 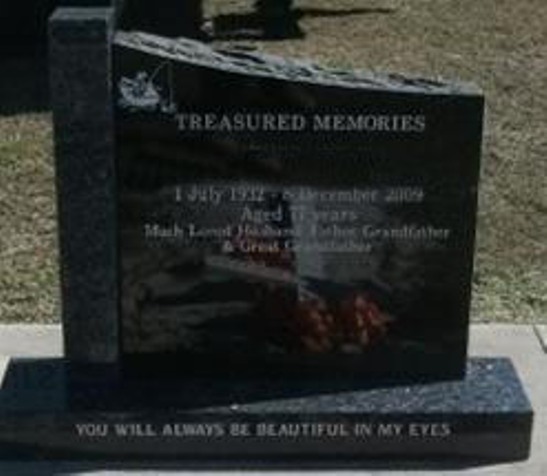 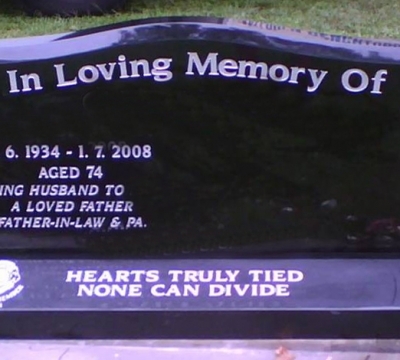 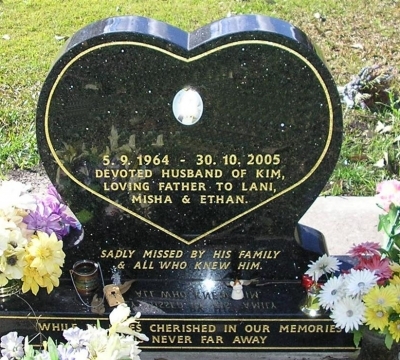 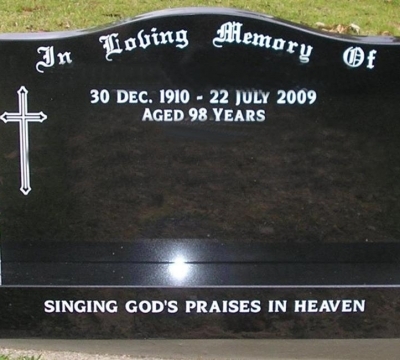 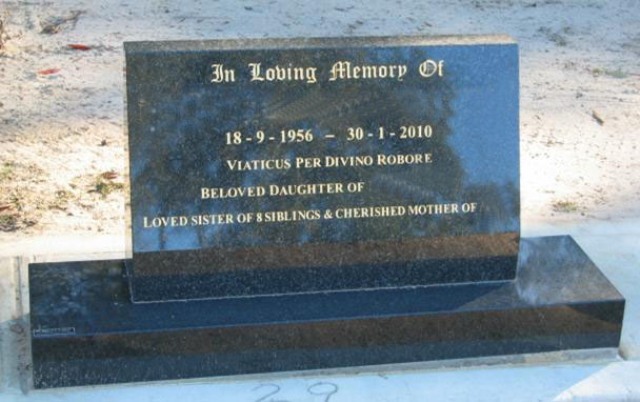 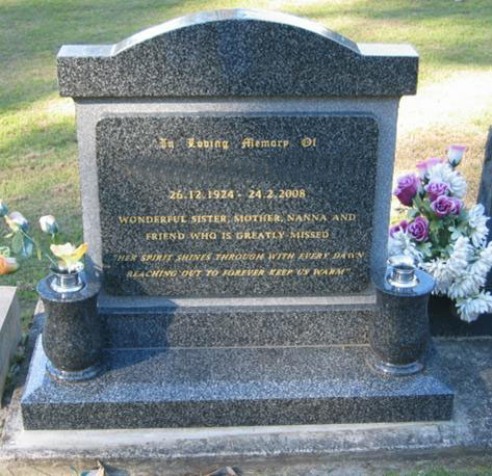 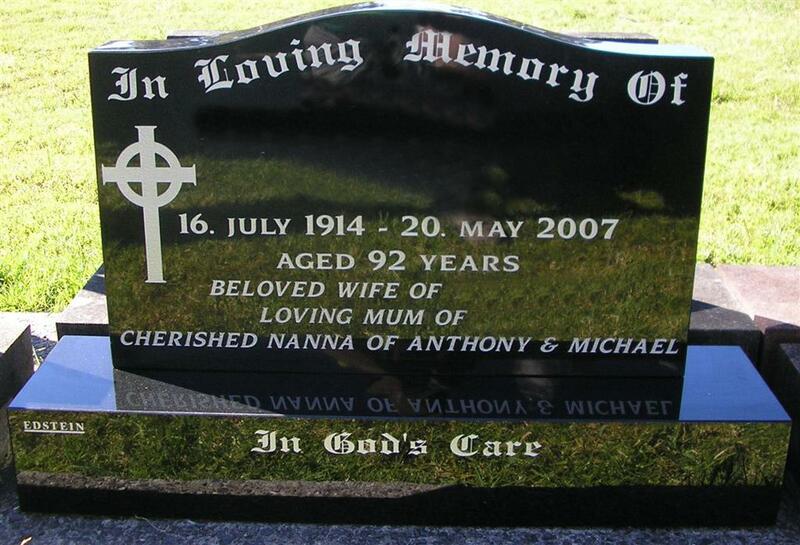 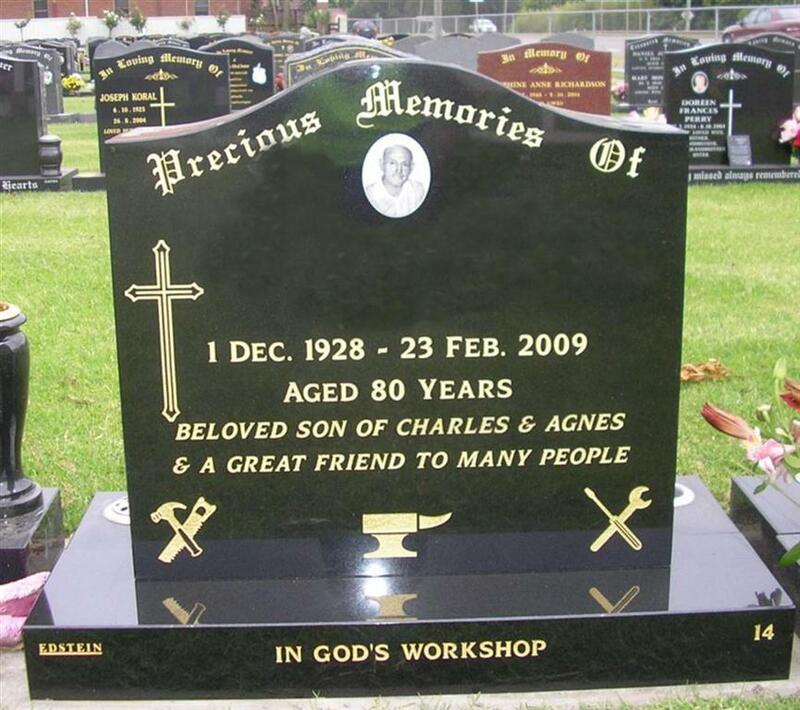 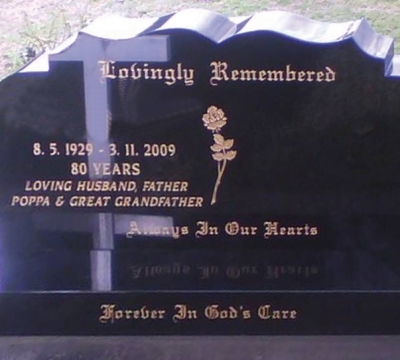 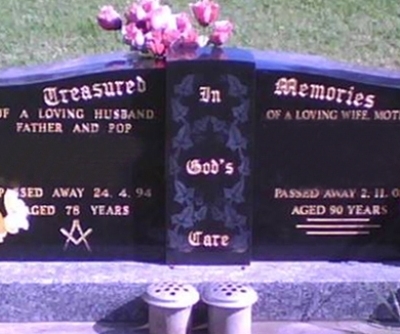 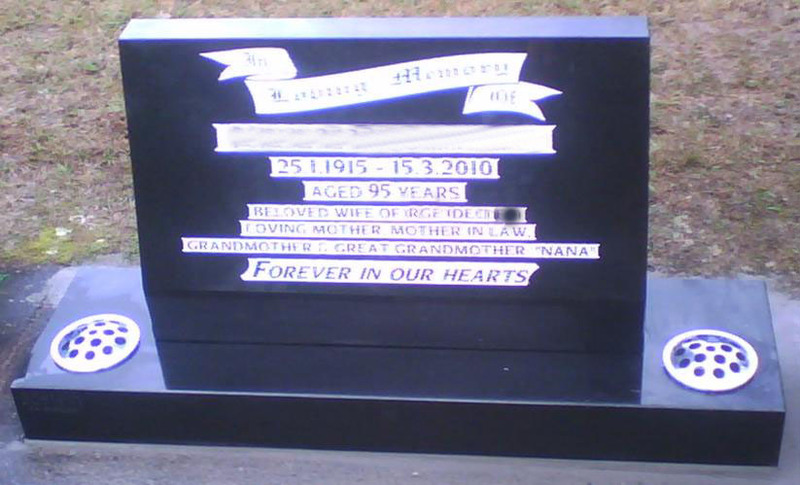 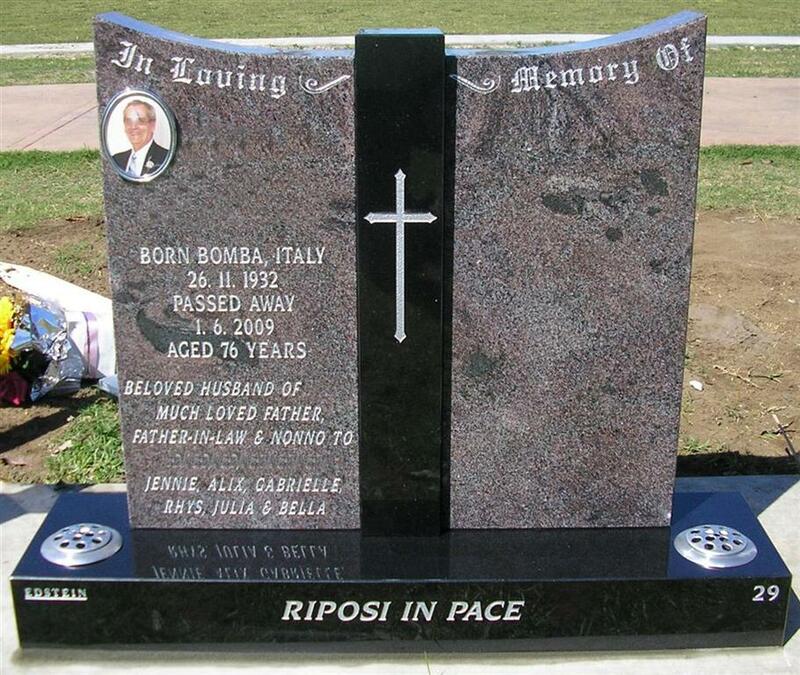 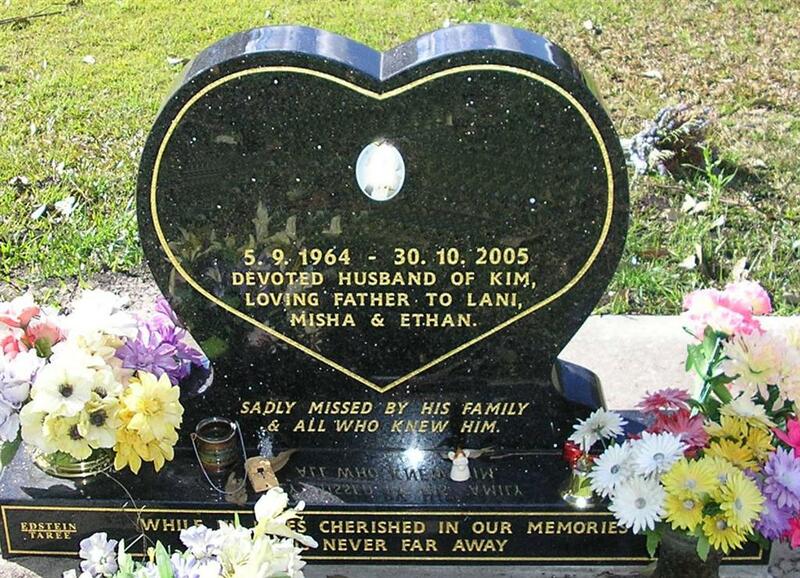 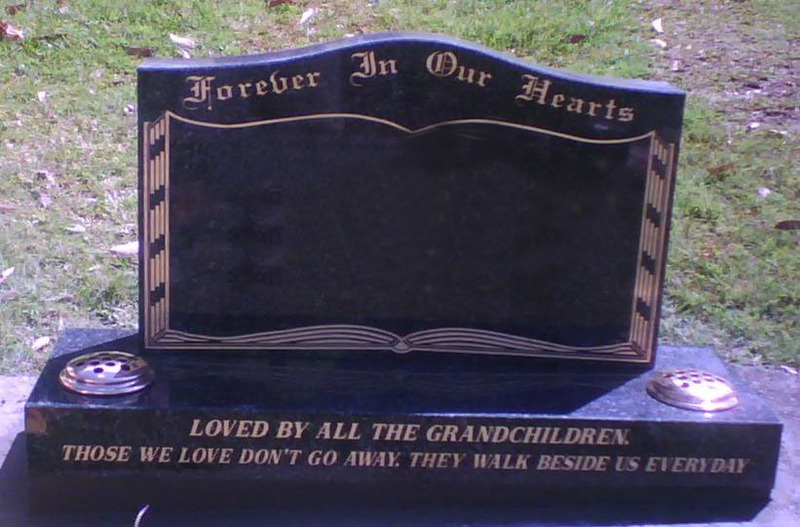 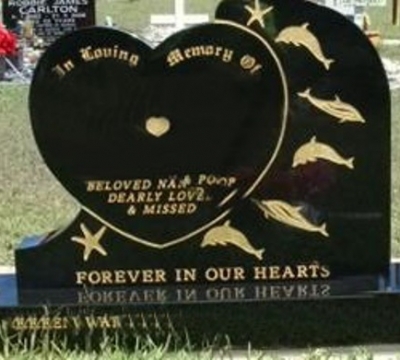 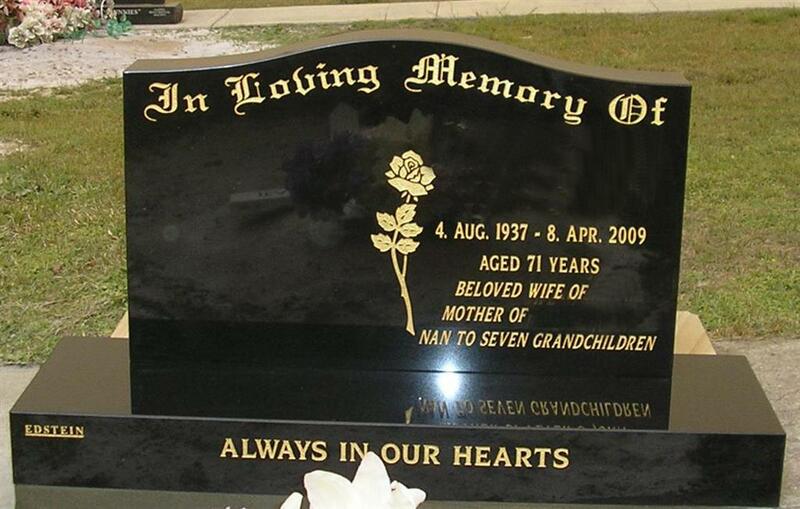 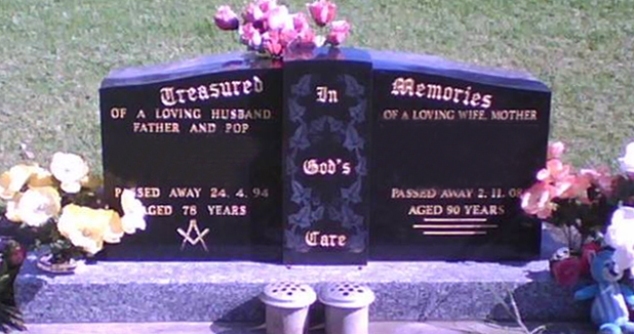 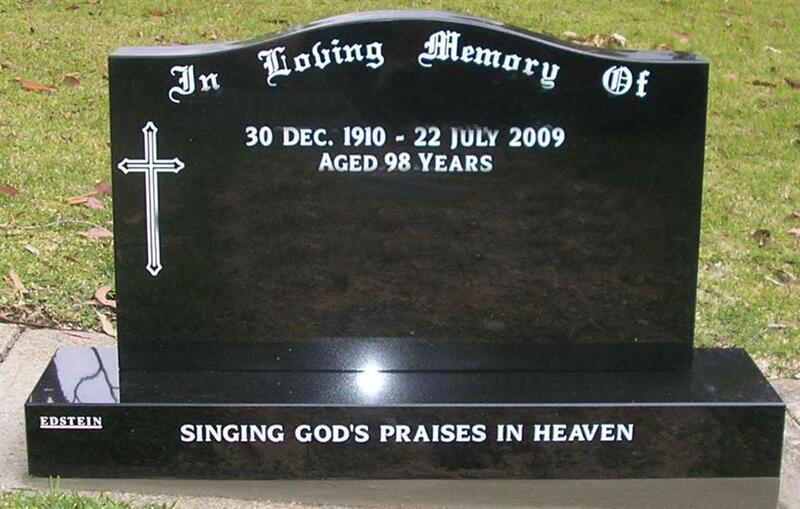 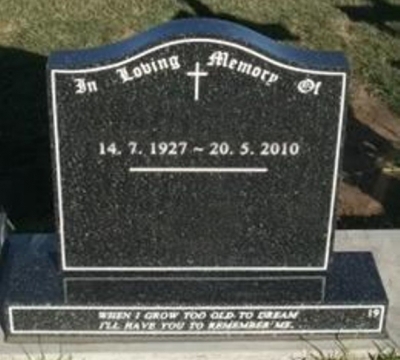 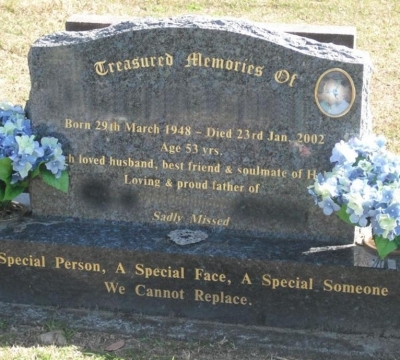 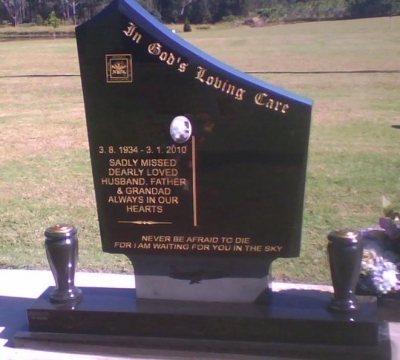 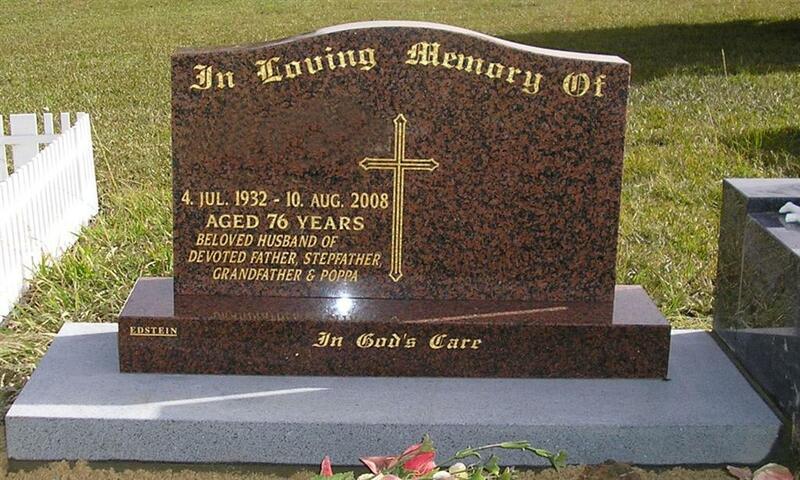 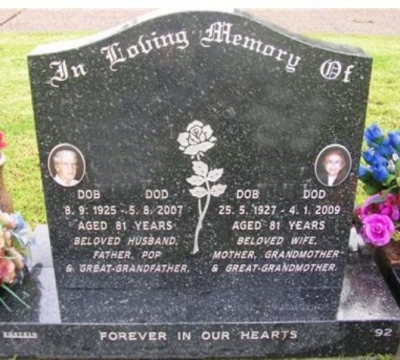 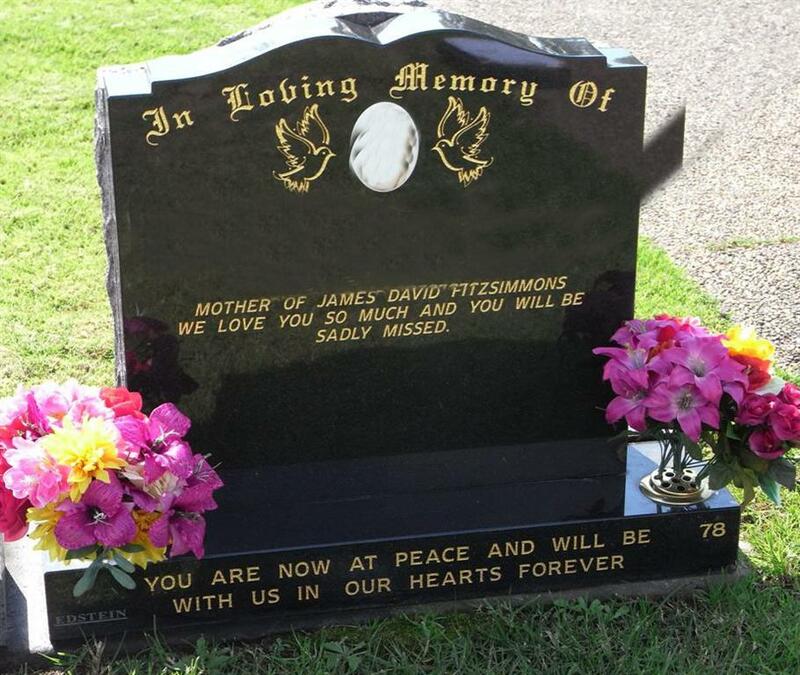 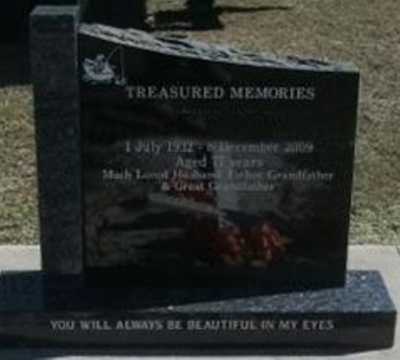 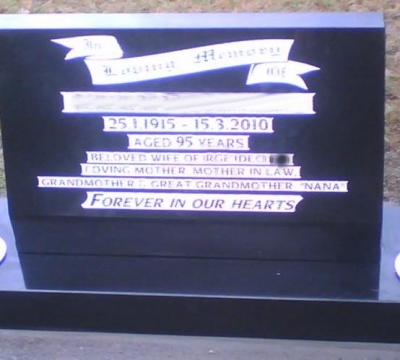 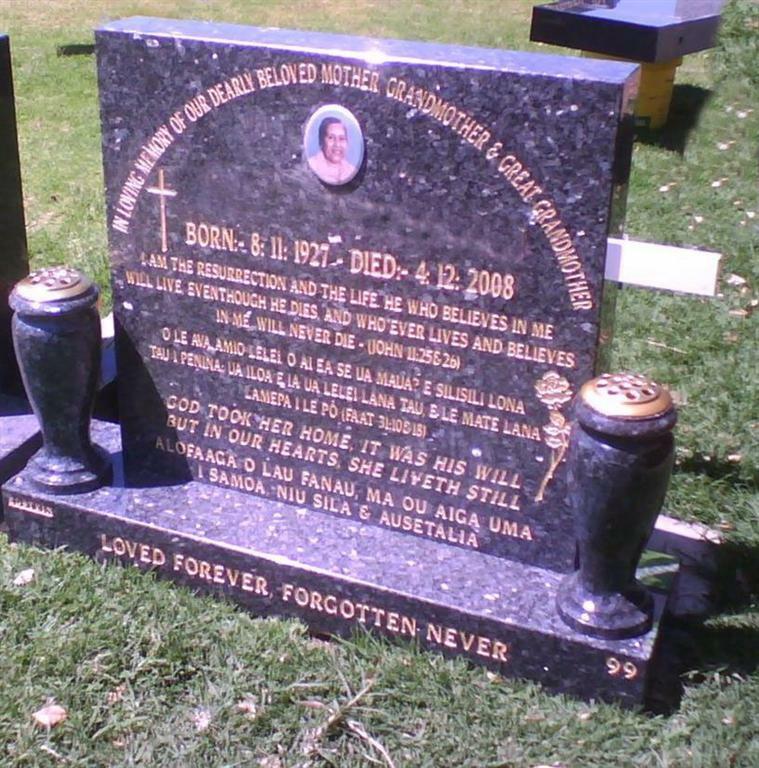 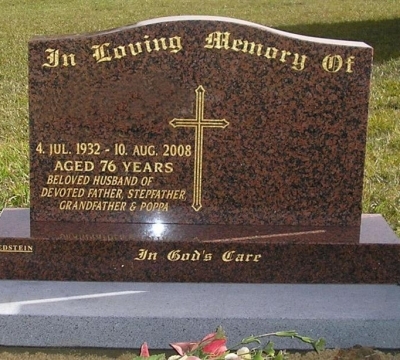 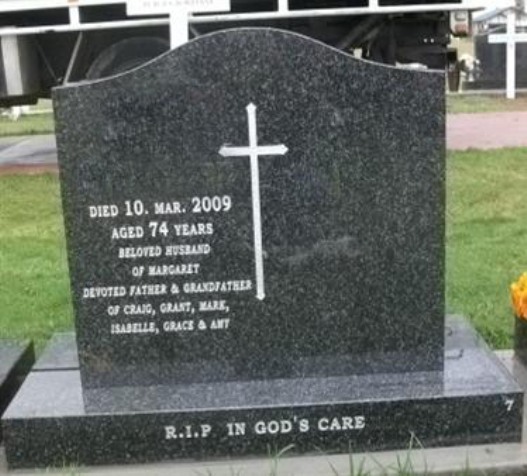 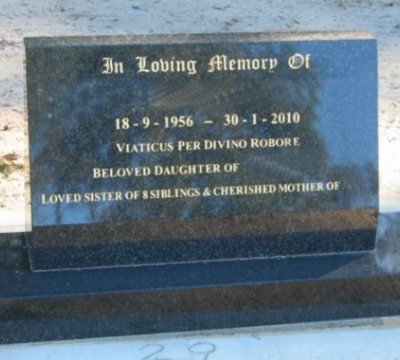 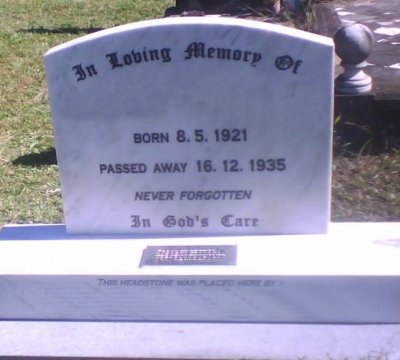 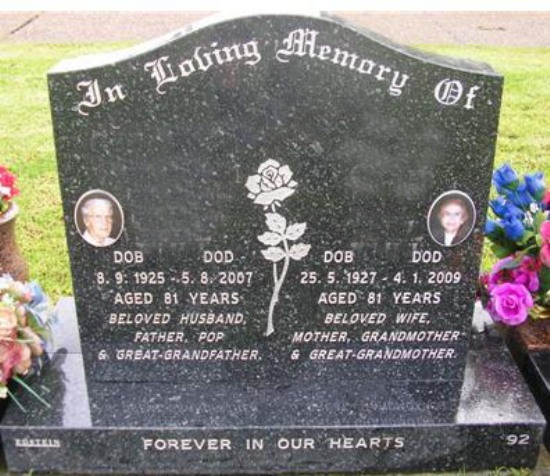 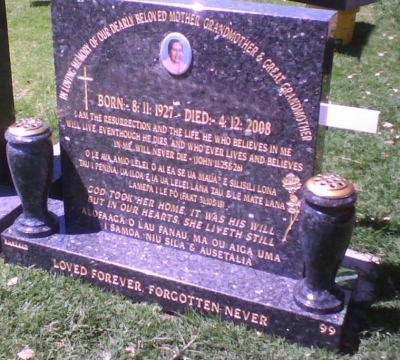 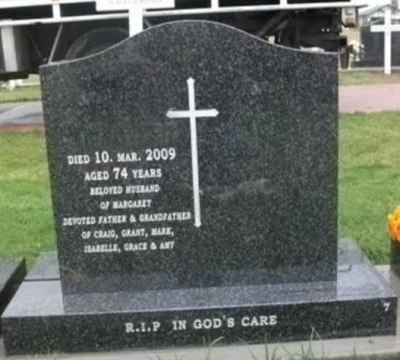 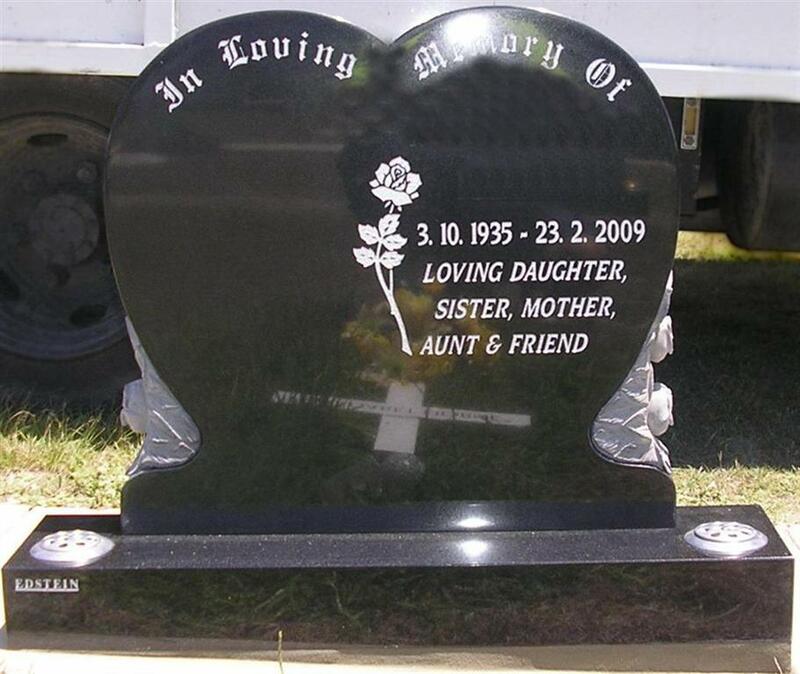 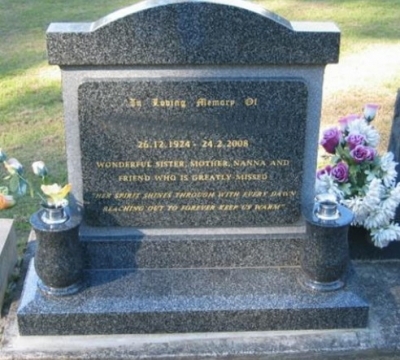 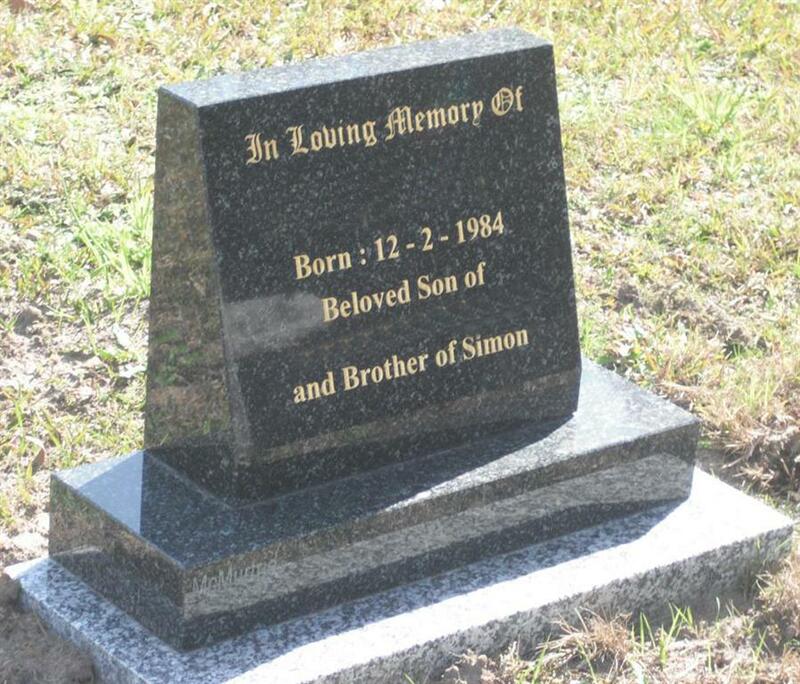 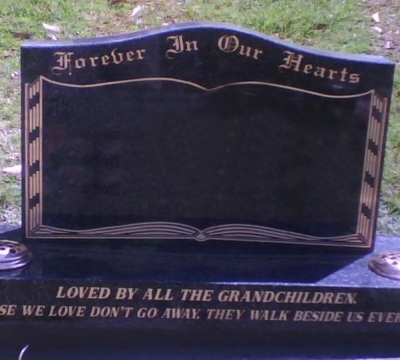 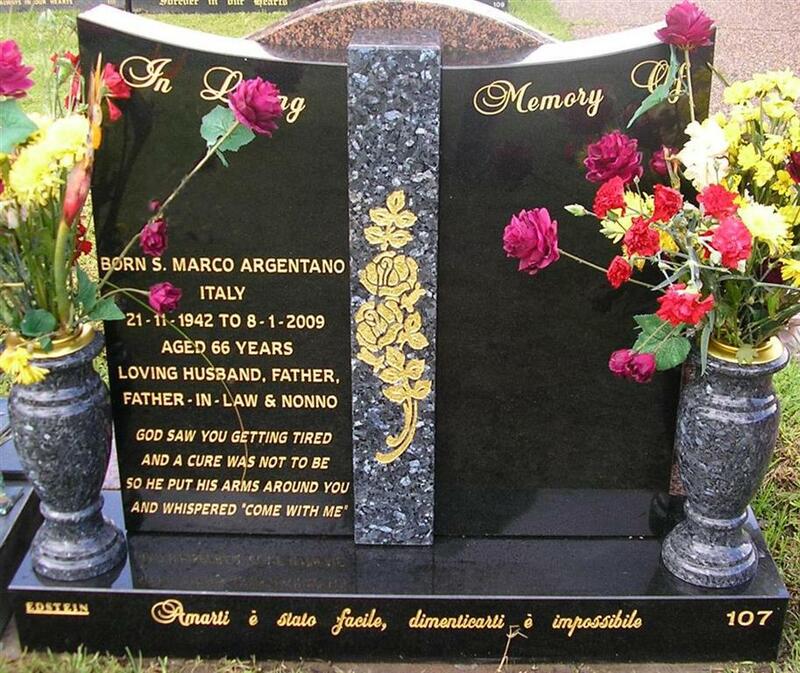 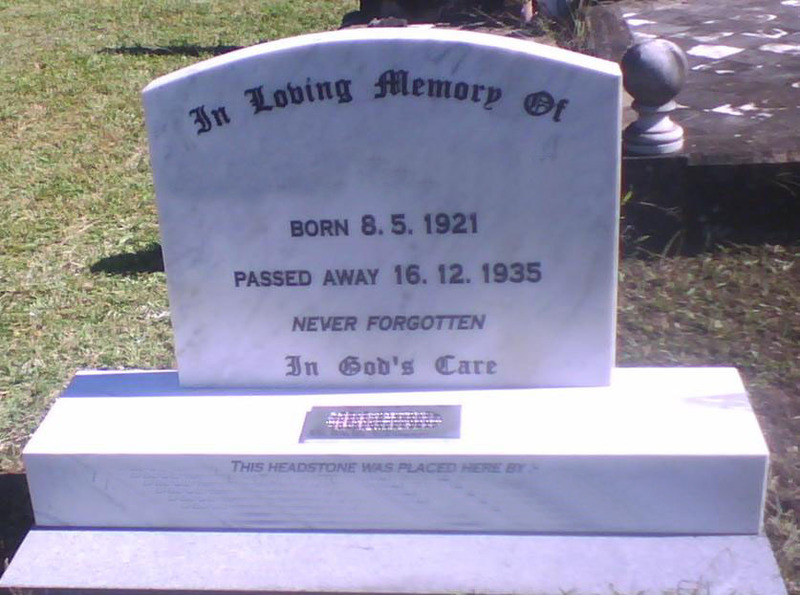 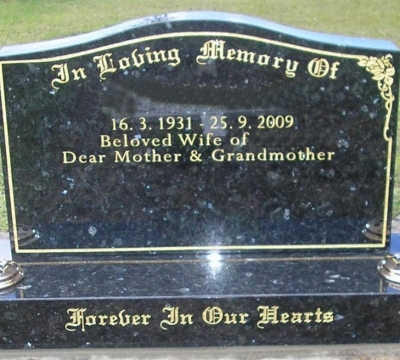 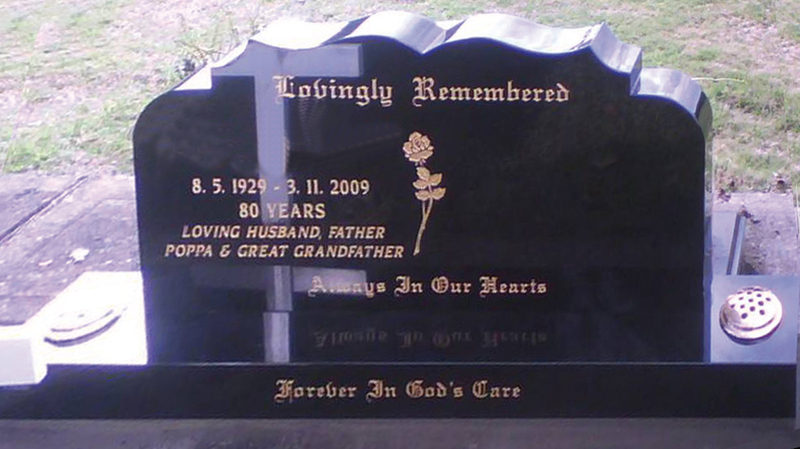 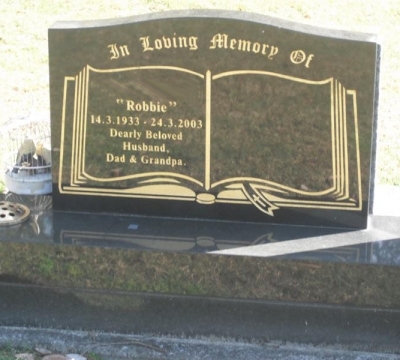 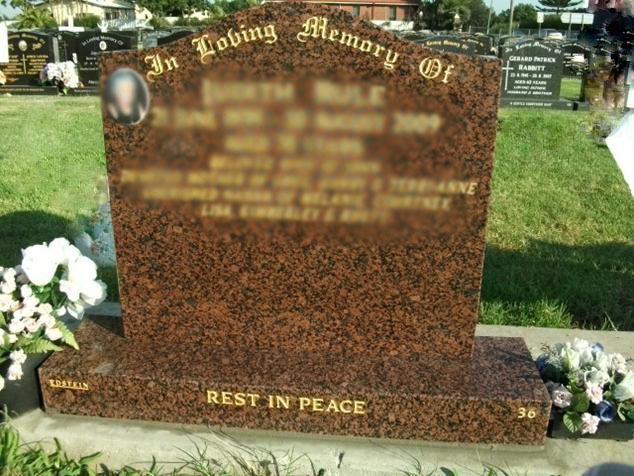 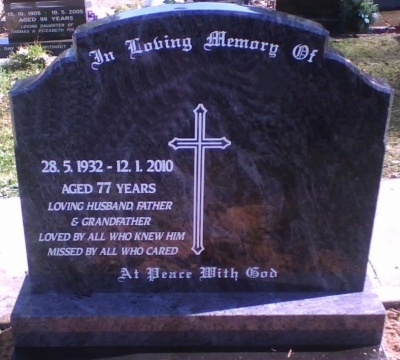 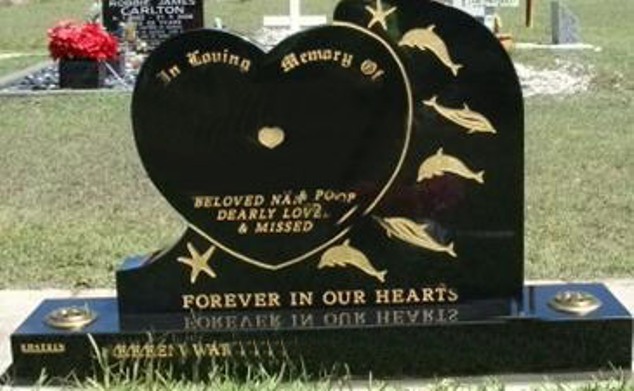 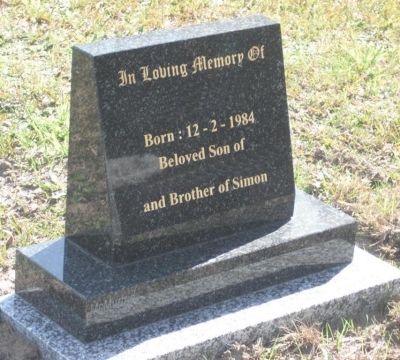 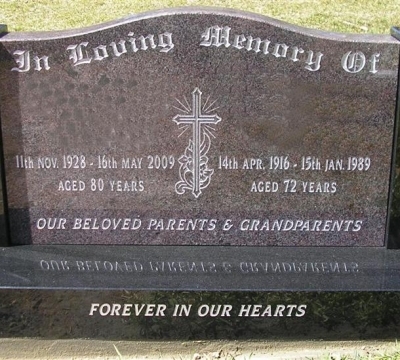 All monuments conform with, and are installed according to, the Australian Standards specified in “AS4204-1994 Headstone and Cemetery Monuments”. 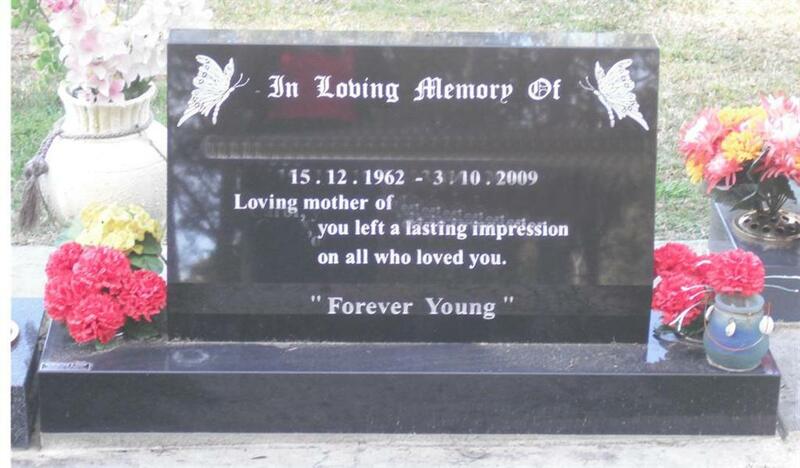 All exposed surfaces on the monuments are polished, unless a specified finish, such as rocked edge, is requested. 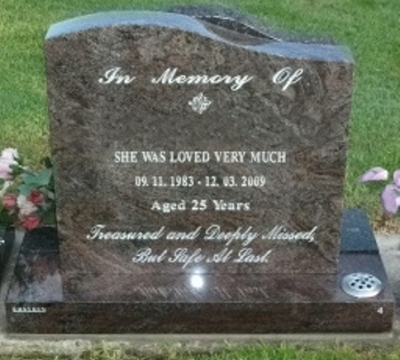 If one or more flower containers are desired, an extended base is available. The images below show some of the styles available. 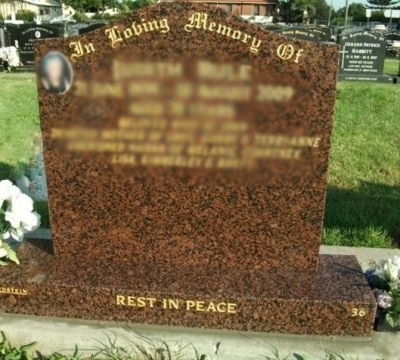 Clicking on the image will open a larger view.